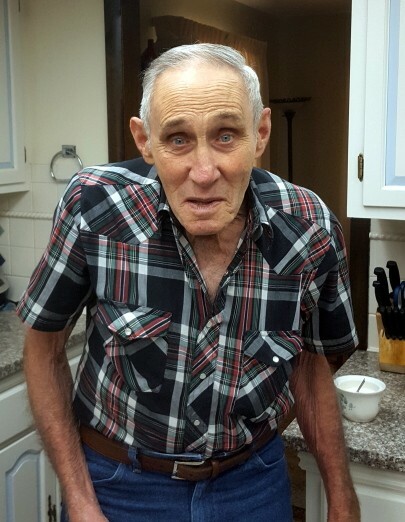 William “Bill” Messinger, 83, of Salem, Nebraska passed away peacefully March 31, 2019 at Falls City Hospital after battling a long term illness. Bill was born May 19, 1935 to Claude and Winifred (James) Messinger in Stella, Nebraska. Bill grew up on the family farm and graduated from Honey Creek High School. Bill was a veteran of the National Guard. Bill married Rebecca Moser on September 26, 1954. They were married for 64 years. Over the years Bill worked the family farm, was an over the road truck driver, worked as a carpenter which many new him as “Nail Bender” and operating heavy equipment. Bill was an avid Big Red and Kansas City Chief fan which he proudly wore red, displayed the teams flags, bumper stickers on his pickup, and had his very own hand-made KC Chief chair for tailgating at the home games. Bill was preceded in death by his parents; children, Matthew Monroe, John Scott and William Jr; siblings, Robert, Ila, Cleo and Ione. Bill is survived by his wife, Rebecca; sisters, Erma and Julia Ann; children, Tim (Vicki) of Fort Morgan, Colorado, Gayleen (Frankie) Gonzales of Greeley, Colorado and Helen Ness of Salem; eight grandchildren, Steven, Joshua, Jake, Tucker, Robert, Cari, Jade and Lindsey; and six great grandchildren Sierra, Megan, Nathan, Seabrina, Aiden and Kerha. Bill was cremated and did not want a big fuss after his passing so the family will have a graveside gathering in Sabetha for all family and friends to share stories and memories celebrating Bill’s life. The family will share date and time in the near future via Facebook.